I was never really interested in learning how to do chain maille until I saw a pair of earrings that I thought looked pretty cool. So, I searched for a pattern similar to the one I saw, Byzantine, to attempt to make them myself. 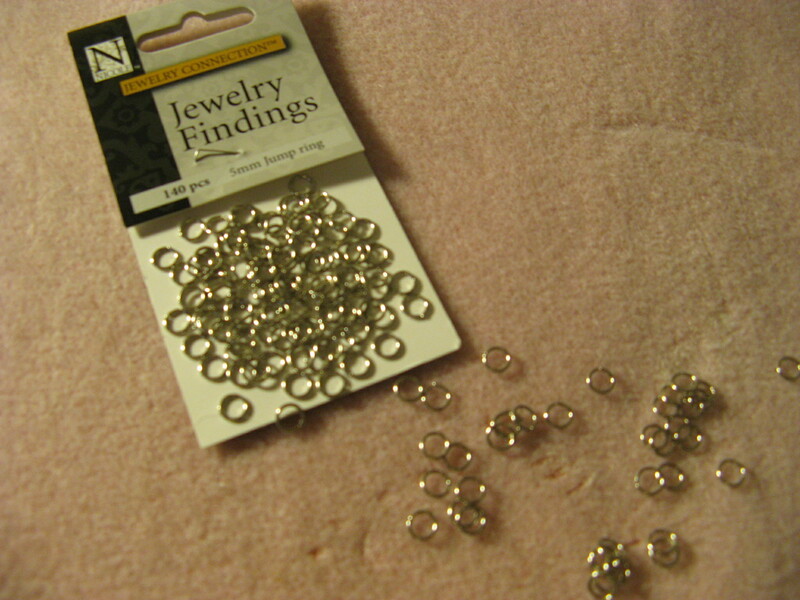 Since I wasn’t sure how much I would like chain maille I bought an inexpensive pack of 5mm jump rings to get started. After a few attempts I finally got the hang of it but realized that the jump rings I bought were too small. The earrings were coming together but it was hard to see the pattern. When I put them up to my ear there really wasn’t anything to them. The other issue I had was that the pattern wasn’t staying together. In other words, when I would lay the jump rings down the pattern would completely fall apart and when I would pick them up I would have to move one jump ring so the pattern could take shape again. I wasn’t sure if that had to do with the jump rings or something that I may have done wrong with the pattern. 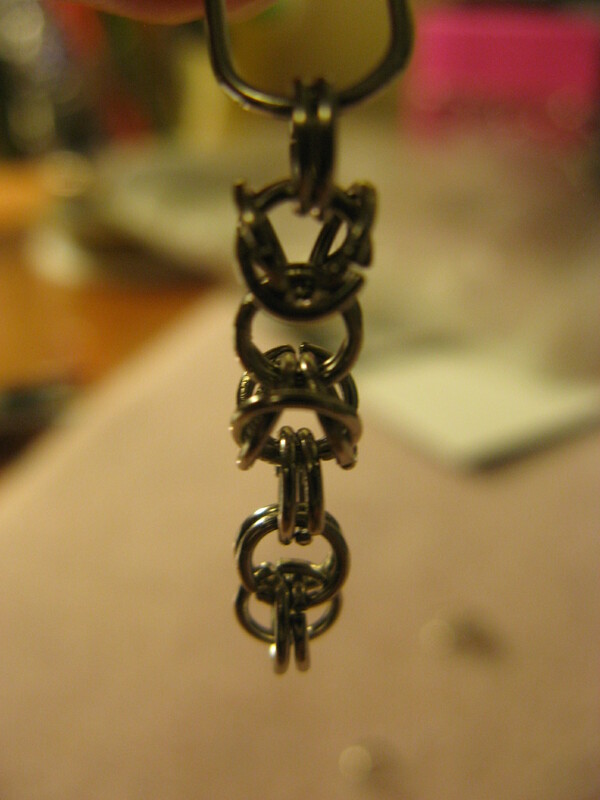 I decided to take them apart and try again another day with larger jump rings and maybe a different pattern. All in all chain maille isn’t bad. What I found most annoying was taking apart the jump rings and closing them again since I wasn’t happy with how my project was coming out. But, I will say it is better than bead weaving in the sense that there isn’t any waste; when I have to take something apart with bead weaving I always end up wasting thread.